Josmer Volmy "Jozy" Altidore (/ˈdʒoʊzi ˈæltɪdɔːr/ JOH-zee AL-ti-dor; born November 6, 1989) is an American professional soccer player who plays as a forward for Toronto FC and the United States national team. Altidore has represented the United States on various levels of international competition, featuring for the United States U-17 team at the 2005 FIFA U-17 World Championship, U-20 team at the 2007 FIFA U-20 World Cup, and the U-23 team at the 2008 Beijing Olympics. He made his debut for the senior national team in 2007 and has earned over 100 caps, representing them at the 2009 FIFA Confederations Cup, the 2011, 2015 and 2017 CONCACAF Gold Cups, and the 2010 and 2014 FIFA World Cups. The youngest of four children to Haitian immigrants, Altidore was born in Livingston, New Jersey and raised in Boca Raton, Florida. He enjoyed playing soccer from the time he was a boy. Altidore played for various South Florida youth teams such as Boca Raton Juniors Soccer Club, Schulz Academy and Sunrise S.C while also spending time training with the under-17 national team at the IMG Academy in Bradenton. He was raised a Jehovah's Witness. Altidore was taken seventeenth overall in the 2006 MLS SuperDraft, with the MetroStars (now the New York Red Bulls) trading up to receive the selection. Altidore spent the majority of the 2006 season away from the team while working towards his high school diploma in Florida. Altidore made his professional debut on August 23, 2006, as a substitute in a 3–1 U.S. Open Cup loss to D.C. United. He scored his first professional goal at the age of sixteen with an 83rd minute, 28-yard shot to beat the Columbus Crew 1–0 on September 16, 2006. Exactly one week later, on September 23, 2006, in a 4–3 loss to D.C. United, Altidore scored again. Scoring three times in seven appearances, including a crucial goal against Chicago Fire on September 30, 2006, Altidore became a fan favorite. He scored the Red Bulls' only goal of their 2–1 aggregate loss to D.C. United in the Eastern Conference Semifinals Series when he headed in a cross in the second leg. With that goal, he became the youngest player to score in the Major League Soccer playoffs at 16 years, 337 days (breaking DaMarcus Beasley's record by almost three years). Altidore was also youngest to start in a Major League Soccer playoff match on October 21 against D.C. United (16 years, 349 days). He also scored two goals in a 5–4 win over Los Angeles Galaxy on August 18, 2007. On June 4, 2008, Villarreal of La Liga agreed in principle with Major League Soccer and the New York Red Bulls to sign Altidore for roughly $10 million or €7.4 million. This transfer fee surpasses Fulham's fee for Clint Dempsey, which was $4 million or roughly £2 million, and was the largest fee paid for any MLS player at the time. Altidore finalized his personal contract and was unveiled by the club on June 11, 2008. On September 14, 2008, Altidore made his La Liga debut, coming on as a second-half substitute against Deportivo La Coruña. On November 1, 2008, he became the first American international to score in La Liga when he came on in the 90th minute and scored against Athletic Bilbao. On November 30, 2008, Altidore started his first game in La Liga against Recreativo Huelva. After spending a year and a half on loan, Altidore returned to Villarreal. He favored staying with Villarreal instead of another loan to try to prove to the club he was worth the investment they made two years ago. On January 30, 2009, Villarreal agreed to loan Altidore to Xerez, leader of the Segunda División at the time of the transfer, until the end of the 2008–09 season. It was expected that the move would allow Altidore to get more playing time, and also allow him to continue the process of assimilating into the Spanish culture. On April 16, 2009, Altidore underwent minor surgery on an injured toenail that required more than a month of recovery, resulting in him never making an appearance for Xerez. On August 5, 2009, Altidore announced on his Twitter page that he would be loaned to English Premier League club Hull City. He joined Hull City the next day on a season-long loan with the option for Hull City to purchase his rights at the end of the 2009–10 season for a fee believed to be £6.5 million ($11 million). On August 10, 2009, Hull City announced that they were successful in obtaining a work permit for Altidore. Altidore made his debut for Hull on August 22, 2009, coming on as a second-half substitute against Bolton. He provided the assist for Kamel Ghilas to score the only goal in a 1–0 home victory at the KC Stadium. On August 25, 2009, Altidore scored his first goal for Hull in a 3–1 win over Southend United in the second round of the League Cup. Altidore was popular with supporters but struggled to make a lasting impact with the Tigers as his finishing was often found wanting, however he did manage to score his first and only Premier League goal in the 2–1 home win over Manchester City on February 6. On April 24, in an important game for Hull City's Premier League survival, he was dismissed for violent conduct after a spat with Sunderland's Alan Hutton who was also sent off. Hull City lost 1–0 and were all but relegated from the top flight. On January 31, 2011, Altidore was loaned out to Turkish champions Bursaspor on a six-month loan. On April 8, he scored his first goal for his new club in a 3–2 home loss to Antalyaspor. On July 15, 2011, Altidore agreed to terms with Dutch side AZ. On August 7, Altidore made his debut for the club as a second-half substitute against PSV Eindhoven. Altidore scored in the 80th minute, helping his new side to a 3–1 opening day win. Altidore was again used as a sub in the club's next Eredivisie game as AZ fell 2–0 to FC Twente. Altidore made his first start in the league for AZ on August 21, when they played host to NEC Nijmegen at the AFAS Stadion. After a goalless first-half, Altidore opened the scoring in the 54th minute, pouncing on the rebound after NEC goalkeeper Jasper Cillessen saved his header. Altidore scored again nineteen minutes later after some nice passing with Adam Maher and AZ ran out 4–0 winners. On August 25, Altidore started in the second leg of the UEFA Europa League final qualifying match against Aalesunds FK from Norway. Before being substituted in the 63rd minute by Charlison Benschop, Altidore scored twice. His first goal in the 23rd minute gave AZ a 2–0 lead and his second goal in the 59th minute brought the score to 4–0 in a game AZ eventually won by 6–0. Altidore added to his Europa League account when he opened the scoring in the 21st minute of his side's first group match against Malmö FF on September 15. After a long wait Altidore returned to the score sheet for AZ, netting in the 83rd minute of a 3–0 victory over ADO Den Haag on November 6 that also secured his side's 10th victory of the Eredivisie campaign. On December 4, Altidore scored his side's only goal in a 5–1 loss to Heerenveen. Altidore had to wait until February 8, 2012 to score his next league goal, grabbing a brace in a 6–0 win over ADO Den Haag. The result put AZ level on points with PSV at the top of the table. Altidore headed in the winning goal against VVV Venlo on Sunday April 22 to keep AZ second in the table and their title hopes still alive. Altidore led the team in scoring in his first campaign with 22 goals across all competitions. He finished tied for seventh in the Eredivisie in goals scored. Altidore credits his successful campaign to his new coach, manager Gertjan Verbeek. In the opening game of the new Eredivisie campaign, Altidore scored a quick brace as AZ drew 2–2 with reigning champions Ajax on August 12, 2012. Altidore continued his impressive start to the league campaign, netting another brace in the club's 3–1 victory over SC Heracles on the second weekend of the season. Following the international break, Altidore scored the first hat-trick of his club career on September 16, helping AZ to a 4–0 defeat of Roda JC. Altidore powered his team to just their fourth victory in 17 games, and their first since October 28, netting a brace in a 2–1 defeat of PEC Zwolle on December 15. In the first game of 2013, Altidore hammered home 3 for the hat-trick against Vitesse Arnhem. On April 14, Altidore netted his third hat-trick of the season in a 6–0 victory over FC Utrecht. On 9 May, he scored the winning goal against PSV in the KNVB Cup final, helping AZ to lift the Dutch Cup for the first time in 31 years. Subsequently, Altidore became the first-ever American to be named in De Telegraaf's "Team of the Season" after finishing with 23 goals in the Eredivisie and 8 in the KNVB Cup. On July 5, 2013, AZ agreed to sell Altidore's contract to English Premier League club Sunderland, with whom he signed a four-year contract. It was eventually reported that Sunderland paid AZ a $13 million transfer fee. Altidore's first goal for Sunderland came on August 27, 2013, spurring a dramatic late comeback in the League Cup, defeating MK Dons 4–2. 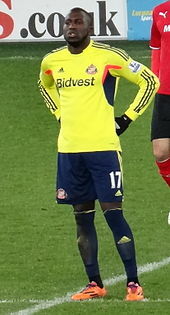 In Altidore's first Tyne-Wear derby, he put in a man of the match performance in a 2–1 win. On December 4, 2013, Altidore scored his first league goal for Sunderland to give them a 1–0 lead against Chelsea, a game which eventually finished 3–4. After failing to find the net again for Sunderland, Altidore was dropped to the Sunderland Under 21s instead of playing against Tottenham Hotspur on April 7, 2014. Altidore ended the 2013–14 season with two goals in 37 appearances, and by October 2014, he had made just six appearances and scored one goal. Altidore told reporters, "If it doesn't turn around then in January I'll be looking to start elsewhere" to stay in the United States national team picture. Altidore left Sunderland in January 2015 for Toronto FC of Major League Soccer. He finished his stay with three goals in 52 appearances in all competitions and one goal in 42 league games. Having only scored 2 goals in a total of 70 Premier League games for both Sunderland and Hull, he was later given the number one position in the "100 Worst Strikers in Premier League History" by the Daily Mail. In January 2015, Toronto acquired Altidore and an undisclosed fee from Sunderland in exchange for striker Jermain Defoe. They signed him to a Designated Player contract. His former MLS side, the New York Red Bulls, were the league's preferred destination for Altidore, but Toronto was unwilling to accept the cash settlement required to complete the move. Altidore later said that his United States teammate Michael Bradley, who had joined the club the previous season, was an influence in his move to Canada. The two were seen on camera talking about the club during the 2014 FIFA World Cup. On March 7, he marked his competitive debut with a brace in a 3–1 victory at the Vancouver Whitecaps and was named the MLS Week 1 Player of the Week. Although a four-match defeated run away from home followed, a further two goals from Altidore marked Toronto's second victory of the season in a 2–0 win at Orlando City. He added another on his home debut in a 2–1 defeat to the Houston Dynamos. Altidore came close to his first piece of silverware with Toronto in May, and scored the opening goal in a 3–2 victory against the Montreal Impact in the second leg of the final. However, Toronto missed out on the away goal ruling after losing 1–0 in the first leg. On July 25, Altidore converted an 89th-minute penalty to earn a point at Columbus Crew in a 3–3 draw. A week later, he was dismissed in the 39th minute of a defeat at the New England Revolution after kicking out at Jose Goncalves. Two late goals in the space of three minutes followed in a 5–0 victory against nine-men Orlando City, and another the following week against the 10-men Montreal Impact. In the closing weeks of the season, he scored back-to-back goals at the BMO Field in wins against the Chicago Fire and the Philadelphia Union before picking up his second red card of the year a week later. Despite not starting in the 2–1 win against the New York Red Bulls, Altidore was dismissed as a substitute after directing foul and abusive language at a fourth official. Helping Toronto advance to the 2015 MLS Cup Playoffs, Altidore played 90 minutes but failed to register a shot as his side fell 3–0 at the Montreal Impact. He concluded his debut season with 14 goals in 27 appearances, and finished 10th in the overall MLS goalscoring charts. He finished second in his team only to Sebastian Giovinco, the 2015 MLS Golden Boot winner. Altidore was unable to carry his form into the start of the 2016 season and failed to score in the fixture 20 MLS fixtures. After a missing a penalty in a 4–3 defeat to the Vancouver Whitecaps in May, he finally broke his deadlock with an 87th-minute strike in a 3–0 win over Columbus Crew on July 31. He added his second of the season a week later with a 93rd-minute goal to complete a 4–1 victory against the New England Revolution, and added his first away goal of the campaign in the following outing at the Houston Dynamo. Goals in victories at Philadelphia Union and Orlando City meant Altidore scored in four consecutive games for the first time in his career. He was named in the Week 24 and Week 27 MLS Team of the Week. Altidore's form continued to pick up towards the latter stages of the season, and just one game after his scoring run he added another five goals in six games. His 68th and 86th-minute goals secured a point against the New York Red Bulls after being 3–1 down inside 48 minutes. He lifted his first trophy with Toronto after clinching the 2016 Canadian Championship, but couldn't register a goal during his club's cup campaign. Sending Toronto to the 2016 MLS Cup Playoffs, he struck his side's third and final goal in a victory against the Philadelphia Union to progress to the Eastern Conference semi-finals. With Toronto putting seven past New York City across two legs, Altidore scored one in each game to reach the Eastern Conference final. Another seven goals were scored with a 7–5 aggregate victory against the Montreal Impact, and Altidore again added two to the tally. Toronto reached the MLS Cup Final for the first time in their history, but lost to the Seattle Sounders on penalties after a goalless game. Altidore scored his team's first penalty, but a miss from Justin Morrow allowed the Sounders to lift the cup. With 15 goals in 29 games, he once again finished second in goals to Giovinco, but also in assists with nine throughout the season. Ahead of the 2017 MLS season, the arrival of Spanish playmaker Victor Vázquez, and Coach Greg Vanney's switch in tactics from a 4–4–2 diamond to a 3–5–2 formation, benefitted Giovinco's and Altidore's attacking partnership, as it allowed them to play closer together; with Vázquez supporting them as the team's main creator, the attacking duo began to demonstrate a deeper understanding and an increased awareness of each other's movements, which improved their link-up play, and saw an increase in Altidore's goalscoring output throughout the season. On March 4, Altidore scored from the penalty spot for his club's first goal of the season in their second league match – a 2–2 draw at the Philadelphia Union. He added his second of the campaign a week later in a 2–0 win at the Vancouver Whitecaps. Three goals in April – including a brace against the Houston Dynamo – placed Toronto in good stead in the league standings, but Altidore only managed a single goal from the penalty spot the following month. He was named in the Week 9 MLS Team of the Week for his performance against Houston. He added another in a 2–0 victory over D.C. United on June 17, and struck early in a 3–1 win at Orlando City. Altidore scored his third penalty of the season during a 4–0 win over New York City. After the third goal in a 3–0 win against the Philadelphia Union, Altidore scored in back-to-back-to-back fixtures – including a double in a 4–0 win against the Vancouver Whitecaps. With Toronto retaining their Canadian Championship, Altidore added a single goal to equalise in the first leg of the final. The game finished 1–1 at the Montreal Impact, before Toronto recorded a 2–1 win at home to lift the cup. Altidore also scored in the final two league fixtures, against the Montreal Impact and Atlanta United, as Toronto clinched the 2017 Supporter's Shield with a record-breaking 69 points. He was named in the Week 27 and Week 30 MLS Team of the Week, and as the Week 27 MLS Player of the Week. Progressing to the MLS Cup Playoffs for a third consecutive season, Altidore was involved in two controversial incidents against former club the New York Red Bulls in the Eastern Conference semi-final second leg. After a foul on Tyler Adams by teammate Giovinco in the first half, Altidore confronted Adams with an argument ensuing. He was subsequently shoved by New York's captain, Sacha Kljestan, and fell to the ground in an exaggerated manner; both players were cautioned by referee Chris Penso for their behaviour. During the half-time break, an altercation broke out between both teams in the tunnel, and while circumstances were unclear, Kljestan and Altidore were believed to be at the center of the incident. As a result, both players were sent off for violent conduct and Altidore went on to miss the Conference Final first leg with Toronto progressing on away goals. Toronto coach Vanney hinted that the club would file a protest with the league to overturn the suspension, but the appeal was later denied. Returning for the Eastern Conference Final second leg against the Columbus Crew, Altidore scored the decisive goal on the hour mark. Despite carrying an injury sustained earlier in the game, which eventually forced him off, he sent Toronto through to the MLS Cup Final – a repeat of the previous year's final with the Seattle Sounders also progressing – with a 1–0 aggregate win. On December 9, Altidore struck the opening goal of the MLS Cup Final in the 67th minute; Toronto went on to win the match 2–0 at BMO Field and Altidore was named the MLS Cup MVP. He finished his season with 18 goals from 33 games, finishing behind Giovinco for a third consecutive season in the club's goalscoring charts. He finished 10th in the overall league goalscoring charts with 15 league goals, only one less than the highest scoring American C. J. Sapong. On March 7, 2018, in the first leg of the CONCACAF Champions League quarter-finals, Altidore scored in a 2–1 home win against Mexican side Tigres UANL. In the second leg, held on March 13, Altidore helped create an own goal in an eventual 3–2 away defeat; the result enabled Toronto to progress to the semi-finals of the competition for only the second time in their history, on away goals, following a 4–4 draw on aggregate. Altidore scored a brace on March 30, in a 3–1 home win against Real Salt Lake, which included his 50th goal for Toronto FC. On April 3, Altidore scored in a 3–1 home win over Club América in the first leg of the CONCACAF Champions League semi-final. He suffered an injury in the seventh minute of the second leg, on April 10, at the Estadio Azteca, and was replaced by Tosaint Ricketts; the match ended in a 1–1 away draw, which saw Toronto advance 4–2 on aggregate to the finals. He made his 100th cap for Toronto FC on April 25, in the second away leg of the 2018 CONCACAF Champions League Final against Chivas Guadalajara, although he was later forced off with an injury; Toronto won the match 2–1 to tie the score on aggregate, resulting in a penalty shoot-out, which Toronto lost 4–2. Altidore later underwent surgery to remove bone fragments from his foot, and it was announced that he would be sidelined for four to six weeks. He returned to action on July 21, in a 2–1 away win against Chicago Fire. On August 12, he was sent off after only 11 minutes in a 3–2 home defeat against New York City FC, after allegedly kicking defender Alexander Callens in the back of the leg. On August 15, in the second leg of the 2018 Canadian Championship Final, Altidore scored a hat-trick in a 5–2 home win over Vancouver Whitecaps to seal the title for Toronto with a 7–4 victory on aggregate. In the 2007 FIFA U-20 World Cup held in Canada, Altidore finished tied third in overall scoring with four goals. He scored three in the first round, one vs. Poland in Montreal and two vs. Brazil in Ottawa, and added a fourth goal vs. Austria in the quarterfinals in Toronto. Altidore made his full international debut on November 17, 2007 in a friendly game away to South Africa. On February 7, 2008 he scored his first international goal by heading home a cross from Drew Moor in a friendly match against Mexico in Houston, Texas. On March 28, 2009, Altidore scored his first away goal in World Cup Qualifying in the 2–2 draw with El Salvador. On April 1, 2009, Altidore scored three goals in a 3–0 victory over Trinidad and Tobago, making Altidore the youngest American to score a hat-trick in an international game. On June 24, 2009, Altidore scored in the semi-final of the 2009 FIFA Confederations Cup against Spain, turning club teammate Joan Capdevilla to get a clear shot on Iker Casillas' goal. The U.S. went on to defeat the Spanish team, 2–0. Altidore started at striker in all four of the United States' games in the 2010 FIFA World Cup, garnering only one assist with no goals scored. Altidore suffered a hamstring injury at the 2011 CONCACAF Gold Cup. On June 2, 2013, Altidore ended an almost two-year scoring drought by sinking the first goal in an international friendly against Germany. He subsequently scored in his next two international games against Jamaica and Panama, marking the first time that he has scored in three consecutive international games. Altidore then went on to score in a fourth consecutive game against Honduras in a World Cup Qualification match on June 18. Scoring in four consecutive matches tied Altidore all-time for most consecutive games with a goal by any USMNT player, joining a select group of players that includes Landon Donovan, Eddie Johnson, Erik Wynalda, and William Lubbe. On August 14, 2013, Altidore scored a hat-trick in the United States' 4–3 comeback win over Bosnia and Herzegovina, notably scoring from a free kick just outside the box with a curling effort. Altidore's three goals and an assist stretched his consecutive game scoring streak to 5 games, the most in U.S. national team history. On June 7, 2014, Altidore broke his goal-scoring drought with two goals against Nigeria, the defending Africa Cup of Nations champions. On June 16, 2014, in the United States' opening 2014 FIFA World Cup match against Ghana, Altidore injured a hamstring and had to be carried from the field. On March 31, 2015, Altidore received his first international red card for verbally abusing referee Luca Banti in an eventual 1–1 friendly draw against Switzerland in Zürich. Altidore became the 17th American to reach 100 international caps on January 29, 2017 when he started in a goalless draw against Serbia. Only Landon Donovan had reached the milestone at a younger age than his 27 years. A quick and physically powerful striker, Altidore is both capable of scoring goals and linking up with his teammates, due to his movement, finishing, and work-rate. His height, strength, and ability in the air also enable him to hold up the ball with his back to goal and act as a target forward; he is also capable of playing on the wing, or as a second striker. In honor of the 26 victims of the Sandy Hook Elementary School shooting a week earlier, Altidore wrote their names on the boots he wore in the game against FC Twente on December 21, 2012. He is in a relationship with professional tennis player Sloane Stephens. As of match played on January 6, 2019. ^ a b c d e Appearances in the MLS Cup playoffs. ^ a b c Appearances in the UEFA Europa League. ^ Appearance in the Campeones Cup. As of January 27, 2019. "Score" represents the score in the match after Altidore's goal. "Score" and "Result" list the United States' goal tally first. Last updated October 6, 2017. ^ "2014 FIFA World Cup Brazil: List of Players" (PDF). FIFA. June 11, 2014. p. 32. Retrieved June 25, 2014. ^ a b c "Altidore gets his message across this time". Fox Sports. June 24, 2009. Retrieved June 24, 2009. ^ "Jozy Altidore profile". ESPN Soccernet. Retrieved October 28, 2009. ^ FIFATV (June 29, 2015). "EXCLUSIVE - Altidore: 'The best is yet to come'". YouTube. Retrieved January 30, 2018. ^ HOT 97 (December 14, 2017). "Jozy Altidore on Winning First MLS Cup, Drake & Dating Sloane Stephens". YouTube. Retrieved January 30, 2018. ^ Dampf, Andrew. "Altidore gets his message across this time", USA Today, June 24, 2009. Accessed February 24, 2011. "Born in Livingston, New Jersey, to Haitian parents, U.S. Soccer is hoping Altidore develops into the consistent scorer the team has lacked for years. So far he's on schedule." ^ Galarcep, Ives (July 12, 2015). "Altidore affirms love for USA as he explains controversial national anthem routine". Goal.com. Retrieved June 4, 2016. ^ Ursy, Rob (July 13, 2015). "Jozy Altidore: Why I don't cover my heart during the national anthem". starsandstripesfc.com. Retrieved June 4, 2016. ^ Bell, Jack; Robinson, Joshua (June 5, 2008). "Spanish Soccer Team Strikes Deal for Altidore". The New York Times. Retrieved May 7, 2010. ^ "Altidore to be sold to Villarreal for $8 million (updated)". June 4, 2008. ^ "U.S. striker Jozy Altidore excited by Villarreal move". Fox Sports. June 12, 2008. Archived from the original (– Scholar search) on June 12, 2008. Retrieved June 13, 2008. ^ "Altidore agrees to terms with Villarreal, to be introduced on Wednesday". June 10, 2008. ^ Bell, Jack (November 2, 2008). "Altidore Scores His First Goal for Villarreal". The New York Times. Retrieved May 7, 2010. ^ "Altidore headed to Xerez on loan". ESPNsoccernet. January 31, 2009. Retrieved April 21, 2009. ^ Galarcep, Ives (January 31, 2009). "Altidore completes loan move to Xerez". SoccerByIves.net. Retrieved April 21, 2009. ^ Bell, Arch (April 16, 2009). "Altidore undergoes knife, out month". Yanks-Abroad.com. Retrieved April 21, 2009. ^ Dyer, Kristian R. (August 5, 2009). "Altidore to join Hull City on loan". ESPNsoccernet. Retrieved August 6, 2009. ^ "Altidore Granted Work Permit". August 10, 2009. Archived from the original on March 29, 2012. Retrieved June 7, 2013. ^ "Hull 1–0 Bolton". BBC. August 22, 2009. Retrieved August 22, 2009. ^ "Altidore sinks Shrimpers". ESPN. August 25, 2009. Retrieved August 25, 2009. ^ "Hull 2–1 Man City". BBC Sport. February 6, 2010. Retrieved February 6, 2010. ^ Sheringham, Sam (April 24, 2010). "Hull 0 – 1 Sunderland". BBC Sport. Retrieved April 27, 2010. ^ "Jozy Altidore heading to Bursaspor". ESPNsoccernet. January 31, 2011. Retrieved February 2, 2011. ^ "Stats, scores and schedules". The Washington Post. April 8, 2011. ^ Galarcep, Ives. 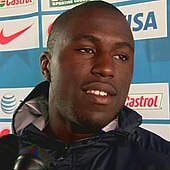 http://www.soccerbyives.net/soccer_by_ives/2011/07/altidore-joining-az-alkmaar.html Soccerbyives.net. Retrieved July 14, 2011. ^ "AZ Alkmaar vs. PSV Eindhoven – Football Match Report – August 7, 2011 – ESPN". ^ "Twente Enschede vs. AZ Alkmaar – Football Match Report – August 13, 2011 – ESPN". ^ "AZ Alkmaar vs. NEC Nijmegen – Football Match Report – August 21, 2011 – ESPN". ^ "AZ Alkmaar vs. Aalesund – Football Match Summary – August 25, 2011 – ESPN". ^ "AZ Alkmaar vs. ADO Den Haag – Football Match Report – November 6, 2011 – ESPN". ^ "Heerenveen vs. AZ Alkmaar – Football Match Report – December 4, 2011 – ESPN". ^ "ADO Den Haag vs. AZ Alkmaar – Football Match Report – February 8, 2012 – ESPN". ^ "AZ Alkmaar vs. VVV Venlo – Football Match Report – April 22, 2012 – ESPN". ^ Galarcep, Ives. "Altidore finding peace in Holland". Fox Soccer. Retrieved June 22, 2012. ^ "US striker Jozy Altidore scores twice for AZ against Ajax in 2–2 draw as season opens". The Republic. August 12, 2012. Archived from the original on February 4, 2013. ^ "Jozy Altidore scores twice for AZ". ESPNFC. August 19, 2012. ^ "AZ 4 – 0 Roda JC Kerkrade". ESPNFC. September 16, 2012. ^ "Jozy Altidore Nets Hat Trick". Yahoo. January 19, 2012. ^ "Altidore nets hat trick against Utrecht". Goal.com. April 14, 2013. ^ "Alkmaar edge PSV to lift cup". FIFA. May 9, 2013. Retrieved May 21, 2013. ^ "American Exports: Jozy Altidore becomes first American named to Dutch Team of the Season". MLS. May 14, 2013. Retrieved May 21, 2013. ^ "ALTIDORE HEADING BACK TO EPL, GETS TRANSFER TO SUNDERLAND". Jeremy D. Pond. July 5, 2013. Archived from the original on July 8, 2013. Retrieved July 5, 2012. ^ "Di Canio gets his man". Sunderland A.F.C. July 9, 2013. Retrieved July 9, 2013. ^ "Has Jozy Altidore's Premier League legacy damaged reputation of US players?". NBC Sports. January 27, 2015. Retrieved January 27, 2015. ^ "Sunderland 4 – 2 MK Dons". BBC. August 27, 2013. Retrieved August 27, 2013. ^ Prindville, Mike (October 8, 2014). "Jozy On The Move? Altidore open to club switch in January transfer window". Pro Soccer Talk. ^ "Altidore joins Toronto FC from Sunderland in swap deal with Defoe". Sky Sports. January 16, 2015. ^ "The 100 worst strikers in Premier League history... Sportsmail counts down the biggest flops: Nos 20-1". ^ "Toronto FC sign U.S. international Jozy Altidore". Toronto FC. January 16, 2015. Retrieved December 10, 2017. ^ Wheeler, Gareth (January 14, 2015). "Sources: Altidore will join Toronto FC; latest on TFC's pursuit of Giovinco". TSN. Retrieved January 19, 2015. ^ Bedakian, Armen (January 18, 2015). "Toronto FC manage to land Jozy Altidore with an assist from US national teammate Michael Bradley". MLSsoccer.com. Retrieved January 19, 2015. ^ "Vancouver Whitecaps 1, Toronto FC 3 | MLS Match Recap". MLSsoccer.com MatchCenter. Retrieved December 10, 2017. ^ "Toronto FC's Jozy Altidore was voted MLS Player of the Week". SI.com. Retrieved December 10, 2017. ^ "Orlando City SC 0, Toronto FC 2 | MLS Match Recap". MLSsoccer.com MatchCenter. Retrieved December 10, 2017. ^ "Toronto FC 1, Houston Dynamo 2 | MLS Match Recap". MLSsoccer.com MatchCenter. Retrieved December 10, 2017. ^ "Toronto FC 3 (3), Montreal Impact 2 (3) | Canadian Championship Match Recap". MLSsoccer.com MatchCenter. May 14, 2015. Retrieved December 10, 2017. ^ "Montreal Impact 1, Toronto FC 0 | Canadian Championship Match Recap". MLSsoccer.com MatchCenter. May 7, 2015. Retrieved December 10, 2017. ^ "Columbus Crew SC 3, Toronto FC 3 | MLS Match Recap". MLSsoccer.com MatchCenter. Retrieved December 10, 2017. ^ "New England Revolution 3, Toronto FC 1 | MLS Match Recap". MLSsoccer.com MatchCenter. Retrieved December 10, 2017. ^ "Toronto FC 2, Montreal Impact 1 | MLS Match Recap". MLSsoccer.com MatchCenter. Retrieved December 10, 2017. ^ "Toronto FC vs. Chicago Fire | MatchCenter Timeline". MLSsoccer.com MatchCenter. Retrieved December 10, 2017. ^ "Toronto FC 3, Philadelphia Union 1 | MLS Match Recap". MLSsoccer.com MatchCenter. Retrieved December 10, 2017. ^ "Toronto FC 2, New York Red Bulls 1 | MLS Match Recap". MLSsoccer.com MatchCenter. Retrieved December 10, 2017. ^ "Montreal Impact 3, Toronto FC 0 | MLS Match Recap". MLSsoccer.com MatchCenter. Retrieved December 10, 2017. ^ "Toronto FC 3, Vancouver Whitecaps 4 | 2016 MLS Match Recap". MLSsoccer.com MatchCenter. Retrieved December 10, 2017. ^ "Toronto FC 3, Columbus Crew SC, 0 | 2016 MLS Match Recap". MLSsoccer.com MatchCenter. Retrieved December 10, 2017. ^ "Toronto FC 4, New England Revolution 1 | 2016 MLS Match Recap". MLSsoccer.com MatchCenter. Retrieved December 10, 2017. ^ "Houston Dynamo 1, Toronto FC 1 | 2016 MLS Match Recap". MLSsoccer.com MatchCenter. Retrieved December 10, 2017. ^ "Philadelphia Union 1, Toronto FC 3 | 2016 MLS Match Recap". MLSsoccer.com MatchCenter. Retrieved December 10, 2017. ^ "Orlando City SC 1, Toronto FC 2 | 2016 MLS Match Recap". MLSsoccer.com MatchCenter. Retrieved December 10, 2017. ^ "2016 Team of the Week (Wk 24): USMNT strikers shine bright in big wins". MLSsoccer.com. August 22, 2016. Retrieved December 10, 2017. ^ "2016 Team of the Week (Wk 27): Revolution jump back into playoff race". MLSsoccer.com. September 12, 2016. Retrieved December 10, 2017. ^ "Toronto FC 3, New York Red Bulls 3 | 2016 MLS Match Recap". MLSsoccer.com MatchCenter. Retrieved December 10, 2017. ^ "Canadian Championship | Canada Soccer". www.canadasoccer.com. Retrieved December 10, 2017. ^ "Toronto FC 3, Philadelphia Union 1 | 2016 MLS Cup Playoffs Match Recap". MLSsoccer.com MatchCenter. Retrieved December 10, 2017. ^ "Toronto FC 2, New York City FC 0 | 2016 MLS Cup Playoffs Match Recap". MLSsoccer.com MatchCenter. Retrieved December 10, 2017. ^ "New York City FC 0, Toronto FC 5 | 2016 MLS Cup Playoffs Match Recap". MLSsoccer.com MatchCenter. Retrieved December 10, 2017. ^ "Montreal Impact 3, Toronto FC 2 | 2016 MLS Cup Playoffs Match Recap". MLSsoccer.com MatchCenter. Retrieved December 10, 2017. ^ "Toronto FC 5, Montreal Impact 2 | 2016 MLS Cup Playoffs Recap". MLSsoccer.com MatchCenter. Retrieved December 10, 2017. ^ "Toronto FC 0 (4), Seattle Sounders 0 (5) | 2016 MLS Cup Final Recap". MLSsoccer.com MatchCenter. Retrieved December 10, 2017. ^ a b Kristina Rutherford (September 9, 2017). "Big Read: Why Victor Vazquez is like no player in Toronto FC history". www.sportsnet.ca. Retrieved November 1, 2017. ^ a b John Molinaro (May 3, 2017). "Altidore, Giovinco making magic up front together for TFC". www.sportsnet.ca. Retrieved November 1, 2017. ^ a b Sebastian Giovinco (October 5, 2017). "Sebastian Giovinco on his love for Toronto FC, growing up in Turin and Juventus". www.skysports.com. Retrieved November 2, 2017. ^ "Philadelphia Union 2, Toronto FC 2 | MLS Match Recap". MLSsoccer.com MatchCenter. Retrieved December 10, 2017. ^ "Vancouver Whitecaps 0, Toronto FC 2 | 2017 MLS Match Recap". MLSsoccer.com MatchCenter. Retrieved December 10, 2017. ^ "Toronto FC 2, Houston Dynamo 0 | 2017 MLS Match Recap". MLSsoccer.com MatchCenter. Retrieved December 10, 2017. ^ "2017 Team of the Week (Wk 9): Sporting KC, DC recognized after big wins". MLSsoccer.com. May 1, 2017. Retrieved December 10, 2017. ^ "Toronto FC 2, DC United 0 | 2017 MLS Match Recap". MLSsoccer.com MatchCenter. Retrieved December 10, 2017. ^ "Orlando City SC 1, Toronto FC 3 | 2017 MLS Match Recap". MLSsoccer.com MatchCenter. Retrieved December 10, 2017. ^ "Toronto FC 4, New York City FC 0 | 2017 MLS Match Recap". MLSsoccer.com MatchCenter. Retrieved December 10, 2017. ^ "Toronto FC 3, Philadelphia Union 0 | 2017 MLS Match Recap". MLSsoccer.com MatchCenter. Retrieved December 10, 2017. ^ "Montreal Impact 1, Toronto FC 3 | 2017 MLS Match Recap". MLSsoccer.com MatchCenter. Retrieved December 10, 2017. ^ "Toronto FC 4, San Jose Earthquakes 0 | 2017 MLS Match Recap". MLSsoccer.com MatchCenter. Retrieved December 10, 2017. ^ "Montreal Impact 1, Toronto FC 1 | 2017 Canadian Championship Match Recap". MLSsoccer.com MatchCenter. June 22, 2017. Retrieved December 10, 2017. ^ "Toronto FC 1, Montreal Impact 0 | 2017 MLS Match Recap". MLSsoccer.com MatchCenter. Retrieved December 10, 2017. ^ "Atlanta United 2, Toronto FC 2 | 2017 MLS Match Recap". MLSsoccer.com MatchCenter. Retrieved December 10, 2017. ^ "MLS Team of the Week (Week 27): Toronto FC dominate with four picks". MLSsoccer.com. September 11, 2017. Retrieved December 10, 2017. ^ "Team of the Week (Week 30): Shield-clinching Toronto FC land two in XI". MLSsoccer.com. October 2, 2017. Retrieved December 10, 2017. ^ "Toronto FC striker Jozy Altidore voted Alcatel MLS Player of the Week". MLSsoccer.com. September 12, 2017. Retrieved December 10, 2017. ^ "Toronto FC 0, New York Red Bulls 1 | MLS Cup Playoffs Recap". MLSsoccer.com MatchCenter. Retrieved December 10, 2017. ^ James Grossi (November 15, 2017). "With Jozy Altidore red card appeal denied, Toronto FC "have to move on"". www.mlssoccer.com. Retrieved November 16, 2017. ^ "Toronto FC 1, Columbus Crew SC 0 | MLS Cup Playoffs Recap". MLSsoccer.com MatchCenter. Retrieved December 10, 2017. ^ a b c "Toronto FC 2, Seattle Sounders 0 | 2017 MLS Cup Final Recap". MLSsoccer.com MatchCenter. December 9, 2017. Retrieved December 9, 2017. ^ "Toronto FC's Jozy Altidore named 2017 MLS Cup Most Valuable Player". MLSsoccer.com. December 9, 2017. Retrieved December 9, 2017. ^ "Stats". MLSsoccer.com. Retrieved December 10, 2017. ^ John Molinaro (March 12, 2018). "Sublime moments of skill could be difference for TFC vs. Tigres". Sportsnet. Retrieved March 14, 2018. ^ Phil West (March 13, 2018). "Tigres UANL 3, Toronto FC 2 – 2018 CCL Quarterfinals Recap". MLS Soccer. Retrieved March 14, 2018. ^ a b c "Injury Update: Jozy Altidore". Toronto FC. May 8, 2018. Retrieved July 29, 2018. ^ "Match Highlights: Real Salt Lake at Toronto FC - March 30, 2018". Toronto FC. March 30, 2018. Retrieved July 29, 2018. ^ Charles Boehm (April 3, 2018). "Toronto FC 3, Club America 1 – CCL Semifinals Recap". Toronto FC. Retrieved July 29, 2018. ^ "Toronto FC advances to CONCACAF Champions League final with 1-1 draw against Club America". thestar.com. April 11, 2018. ^ a b John Molinaro (May 8, 2018). "Toronto FC forward Jozy Altidore ruled out 4-6 weeks". Sportsnet. Retrieved July 29, 2018. ^ "CD Guadalajara 1, Toronto FC 2 | 2018 Concacaf Champions League Recap". mlssoccer.com. April 25, 2018. ^ "Toronto FC defeats Chicago Fire to snap six-game winless skid". ESPN FC. July 21, 2018. Retrieved July 29, 2018. ^ "New York City FC's Ismael Tajouri-Shradi strikes late to sink 10-man Toronto FC". ESPN FC. August 12, 2018. Retrieved August 16, 2018. ^ Neil Davidson (August 15, 2018). "Altidore hits hat trick as TFC thump Vancouver to win Canadian Championship". CTV News. Retrieved August 15, 2018. ^ Robert Wagman (November 17, 2007). "Despite so-so effort, U.S. defeats South Africa on Cherundolo goal". Soccer Times. Retrieved May 28, 2015. ^ Robert Wagman (February 7, 2008). "Bradley learns much about his U.S. team in 2–2 draw with Mexico". Soccer Times. Retrieved May 28, 2015. ^ "U.S. 3–0 T&T: Altidore hits hat trick". ESPN. April 1, 2008. Retrieved April 1, 2008. ^ "Tactical Line-up – Group C – England-United States" (PDF). FIFA.com. Fédération Internationale de Football Association. June 12, 2010. Retrieved June 13, 2010. ^ "Tactical Line-up – Group C – Slovenia-United States" (PDF). FIFA.com. Fédération Internationale de Football Association. June 18, 2010. Archived (PDF) from the original on July 2, 2010. Retrieved June 18, 2010. ^ "Tactical Line-up – Group C – USA-Algeria" (PDF). FIFA.com. Fédération Internationale de Football Association. June 23, 2010. Archived (PDF) from the original on July 3, 2010. Retrieved June 23, 2010. ^ "Tactical Line-up – Last 16 – United States-Ghana" (PDF). FIFA.com. Fédération Internationale de Football Association. June 26, 2010. Retrieved June 26, 2010. ^ "Players – Top attacks". FIFA.com (Fédération Internationale de Football Association). Retrieved August 24, 2014. ^ "Altidore to miss remainder of Gold Cup with injury". USA Today. June 22, 2011. Retrieved June 23, 2011. ^ "Altidore's hat trick leads US to 4–3 win vs Bosnia". ESPN. August 14, 2013. Retrieved August 14, 2013. ^ "Jozy Altidore breaks U.S. record with amazing hat trick". USA Today. August 14, 2013. Retrieved August 14, 2013. ^ "Victory over Ghana, agony over Altidore: America wakes up to the World Cup". Guardian. June 17, 2014. Retrieved June 18, 2014. ^ McCarthy, Kyle (March 31, 2015). "Switzerland 1–1 USA: Altidore sent off in friendly draw". Goal.com. Retrieved April 1, 2015. ^ Verteleney, Seth (January 29, 2017). "JOZY ALTIDORE BECOMES SECOND YOUNGEST U.S. PLAYER TO REACH 100 CAPS". Goal.com. Retrieved September 10, 2017. ^ Caitlin Murray (April 29, 2016). "Jozy Altidore happy to change his playing style for Sebastian Giovinco". MLSSoccer.com. Retrieved November 2, 2017. ^ Paul Tenorio (August 19, 2017). "It's not hard to understand the importance of Jozy Altidore". FourFourTwo. Retrieved November 2, 2017. ^ John Molinaro (September 23, 2015). "TFC's Altidore accepts his role with good grace". www.sportsnet.ca. Retrieved November 2, 2017. ^ Beridon, Craig (August 7, 2007). "Jozy Altidore Talks FIFA 08". ^ ::., . :: chastroD. "ALTIDORE CALLING ON FANS FOR HAITI". ^ "Jozy Altidore pays tribute to victims". ESPN FC. Associated Press. December 22, 2012. Retrieved May 23, 2014. ^ "Power Couple: Who is Sloane Stephens dating?". The Sun. January 15, 2019. Retrieved April 25, 2019. ^ "Jozy Altidore » Club matches". World Football. Retrieved January 6, 2019. ^ "Jozy Altidore". National Football Teams. Benjamin Strack-Zimmerman. Retrieved February 27, 2016. ^ "Toronto FC 1, Columbus Crew SC 0". mlssocer.com. November 29, 2017. ^ "Sebastian Giovinco, Kei Kamara among 22 players named to 2015 AT&T MLS All-Star Game roster". Major League Soccer. July 20, 2015. Retrieved October 26, 2015. ^ "Bradley, Giovinco to represent TFC at MLS All-Star game – Sportsnet.ca". Sportsnet.ca. Retrieved July 21, 2017. Wikimedia Commons has media related to Jozy Altidore.